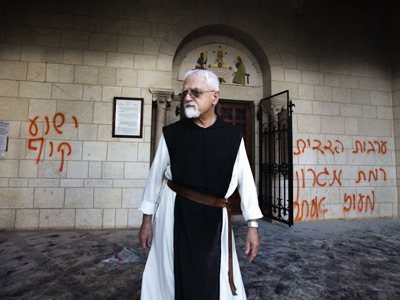 Vandals have scrawled hate graffiti on a Catholic Monastery in response to continued peace talks between Israel and Palestine in what is the latest of a number of recent hate attacks on Christian places of worship in the country. 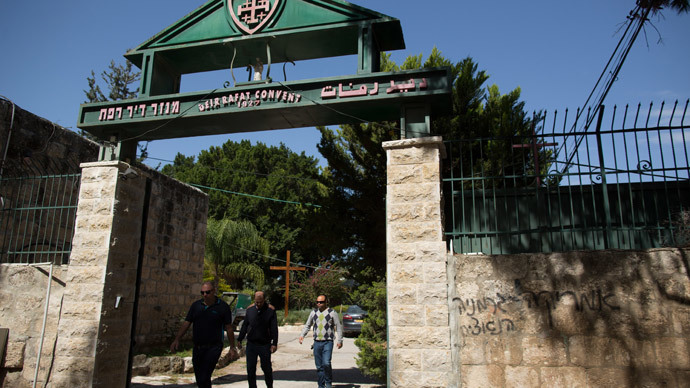 The incident took place at the Deir Rafat monastery, not far from the Israeli capital, with slogans condemning peace talks with Palestine, as well as graffiti disparaging Jesus and Mary daubed on the walls. An investigation has been opened into the incident, while police are currently looking for the perpetrators, spokesman Micky Rosenfeld mentioned. A minority of radical Israeli settlers have been blamed for carrying out the vandalism to protest against what they perceive as the Israeli government’s pro-Palestinian policies. 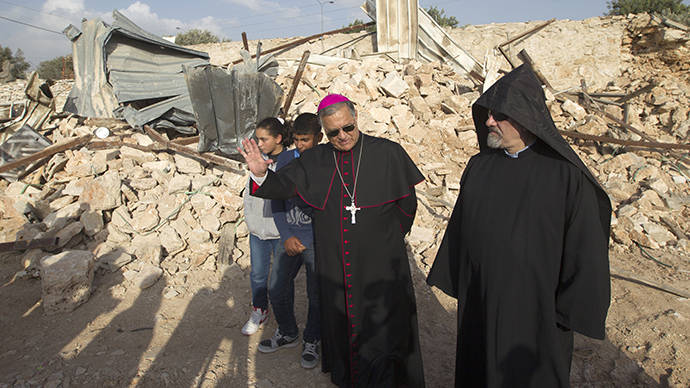 Latin Patriarch Fouad Twal, who is the top Catholic clergyman in the region, visited the monastery and met with nuns, while surveying the damage. “This is bad for the state of Israel, it is bad for us, it is bad for everybody”, the 73 year-old stated. “In this Holy Land we do not need these actions. Especially these actions against a monastery where we have sisters just praying for peace. They are not involved in any politics so this really is a bad sign and we regret it very much,” Twal said. There has been a spate of attacks on Christian religious sites over the last few years. In September 2012, vandals set fire to the door of a renowned Trappist monastery in Latrun, also not far from Jerusalem. They also defaced it with anti-Christian graffiti, stating “Jesus is a monkey”. 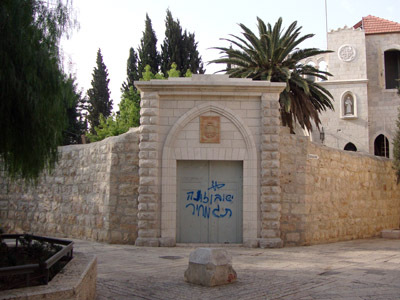 In August 2013, another Catholic monastery was targeted in Beit Jimal, with the words “revenge” and “gentiles will perish” inscribed in Hebrew on the wall. This latest attack will come as further embarrassment to the country, with Pope Francis set to visit the Holy Land in May. The 77 year-old Argentine will become the fourth head of the Catholic Church to visit the Holy Land. However, there are questions regarding the pontiff’s planned visit to Israel. A strike by the Israeli Ministry of Foreign Affairs could cause the Vatican to cut the country from its itinerary.